How's your Sunday guys? I'm sharing my outfit awhile ago! 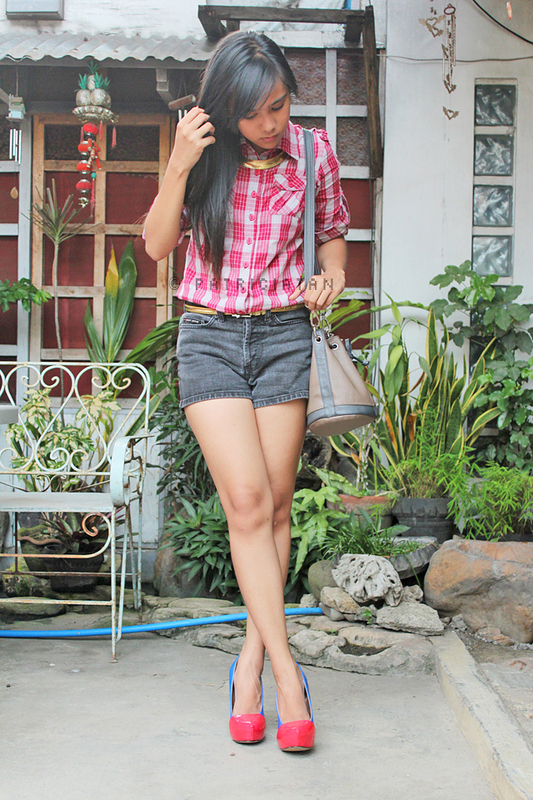 I'm running out of idea so I paired my plaid polo into a plain denim black shorts with flats. Just something I pulled out of my closet! Hah! It's unplanned outfit though. Thanked God I didn't use my heels because the place was kinda muddy in sections and there are some "bridges" to cross. Anyway, hope you like my simple get up. Hype it! Thank you!